Photo – Cedar Point during CNC16! How many of you have committed to something new for the new year? If you have noticed that many resolutions that start on January 1 often lack the resolve to make it to February 1, you are not alone. That’s why I started working on improvements and commitments for 2017 back in the middle of 2016. Of course my overall commitment was, is, and will continue to be to “Help Leaders Lead“. Whatever you need to better lead your teams, I am here for you! To this end, I have updated my website to include eCommerce so it’s easier to get the things you need… like bulk copies (with discounts) of the Myth of Employee Burnout or to sign up for a coaching program. I can also now do one of those fancy auto-magic PDF download things… so I packaged up 80+ of my favorite leadership articles and made it a free downloadable PDF. Two of the things I am MOST excited about are my new Mastermind program (currently in pilot phase) and the Myth of Employee Burnout 8-week Supervisor Training Program. If you haven’t heard of a Mastermind group, it’s essentially peer or group coaching. There are 4 attractions professionals and me, and we get together every 2 weeks via Skype to help each other with current issues. We also have a private Facebook group to share documents and discuss things between calls. Some of the topics have included: group interviews, encouraging buy-in and urgency, whether or not to hire a sales manager and communication. We’ll wrap up the pilot group in a few months, at which point I will be starting another round based on their feedback. If you would like to participate in the next round, just let me know. Encourage leaders to discuss and explore their leadership strengths and areas of improvement. Build necessary leadership skills like communication, problem solving and leading a diverse workforce. The program is broken up into 8 lessons and is designed so that a department manager or trainer can meet with a small group of supervisors for about 30 minutes to build the skills needed to lead on a daily basis. The best part is that you get everything you need… detailed lesson plans, participant workbooks and a copy of the Myth of Employee Burnout for each participant. You only pay for the number of people going through the program – no waste, no mess! For more pricing and samples of the included materials, click here. I don’t know about you, but I am excited for 2017 to unfold! Below is a list of conferences I will be at to start the year. If you will be at any of these it would be great to connect! Just let me know. Happy New Year – have a safe and prosperous 2017!! How many times have you seen an employee (yours or at another establishment) looking bored? Have you seen them looking at their phones, staring off into space or doing things they shouldn’t be doing? This couldn’t be YOUR fault, could it? Of course not. It’s the kids these days. They don’t want to work, they just want to play on their phones. And when we view them as half-brain dead zombies, that’s how we treat them. And that’s how we train them. When giving instructions to your employees, how many of you have ever said, “all you have to do is…”? If this has been your training strategy, you might want to think about what you are really asking them to do. Whether you realize it or not, what you’re saying to them is that they don’t have to think, they don’t have to act, and there’s no brainpower required for this activity. Then what happens when the one activity they ARE supposed to do isn’t required? They get bored. People, by our nature, need challenges and for our minds to be active. So, we’ll find ways to KEEP our minds active if the task in front of us isn’t fulfilling that need. What might this look like for your employees? Yep. Texting. A few years ago I heard T. Scott Gross talking about how we have idiot-proofed so many of our jobs. Rather than take the time to find the right people and prepare them for the role, we dumb down the responsibilities so any Joe Schmoe could do it. But as T. Scott says, the only person willing to do an idiot-proof job is an idiot. Do you see the cycle we’ve created? Are your jobs “idiot-proof”? If so, I challenge you to put some challenge back in those roles. Let your employees use their brains and their talents FOR you, not in spite of you. Will this take extra time, because you now have to work with your employees to help develop the right skills and judgements? Yes. But wouldn’t you rather spend your time doing that than hiring and firing and hiring and firing a bunch of idiots? About the author: It took Matt about 45 minutes to write this post. When asked, he tells people it took him 25 years to write his first book, The Myth of Employee Burnout, because it includes experiences and insights from his entire career to this point. He’s really hoping the second book doesn’t take nearly that long! It’s 6:25 am and I’m out for a ride on my bike. It’s still dark, making the fluorescent lights from the gas station that much brighter. As I pull closer, I see a figure lurking around one of the pumps. Closer still, the figure isn’t so much lurking, as he is working. In fact he appears to be cleaning the gas pump. Washing away the dirt, grime and personal residue of the previous days business. Just as I am about to wildly applaud his efforts, I see what he is using as a cleaning implement. 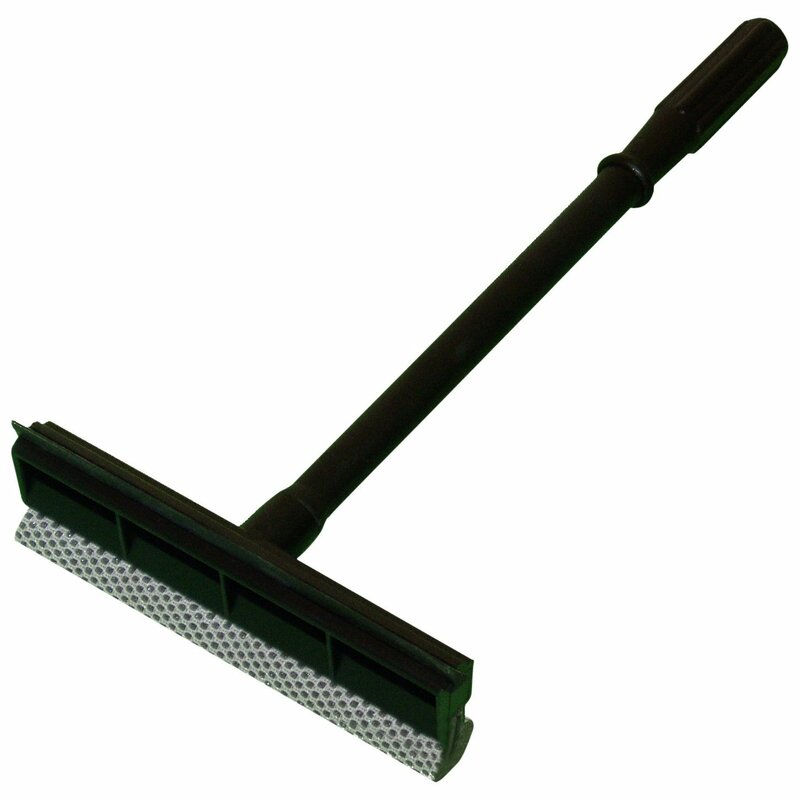 In fact it’s the same squeegee that his customers use to remove bugs from their windshields. I’m no expert on cleaning tools and techniques, but I can’t imagine that this squeegee is the proper tool for this job. I would hazard a guess that nowhere in his companies operating procedure manual does it state to use the squeegee to clean the surface of the gas pumps. It may not say ANYTHING about cleaning the gas pumps. Yet here he is, diligently doing just that. Here is what is really ironic. This gentlemen works at a gas station/convenience store, and probably has much more appropriate cleaning materials at his disposal. Let’s look at what possibly led to this moment. This employee (we’ll call him Jake) had the gumption (or was at least bored enough) to get out and clean the gas pumps. If he was doing this out of some sort of feeling of duty or it was a job responsibility, you’d have to at least applaud Jake’s efforts, but coach him on his methods. If Jake was bored, it’s understandable that he wouldn’t have put a lot of thought into the execution of his plan. Still, his efforts should be recognized and methods coached. During the coaching, we may find out that in fact there is another “proper” way to do this, but that they ran out of the right supplies, the supplies they had were unusable for some reason, or that Jake wasn’t really well versed on that procedure. We may also find that this enterprising young man at one point HAD taken it upon himself to utilize something from the store, but was reprimanded for either using the wrong product or for misappropriating an item that should have been sold for profit. All of this adds up to a craftsman working with improper tools. While the old adage, “a poor craftsman blames his tools” may come to mind, I think there are other places that fault could be placed in this situation. A leaders’ job is to provide guidance, support, and resources so their employees can do the job they were hired to do. Does it sound like that was the case here? What would you do if you were Jake’s boss? About the author: Matt couldn’t be more proud to have released his first book, “The Myth of Employee Burnout” last week. So far the reviews have been very positive… and Matt doesn’t even mind that most of those reviews are from his friends. OMG – I can’t believe he missed that!! During a recent dinner out with friends, I couldn’t believe the service opportunity that was missed by the restaurant manager. It was right there, set up for him beautifully, and he missed it. 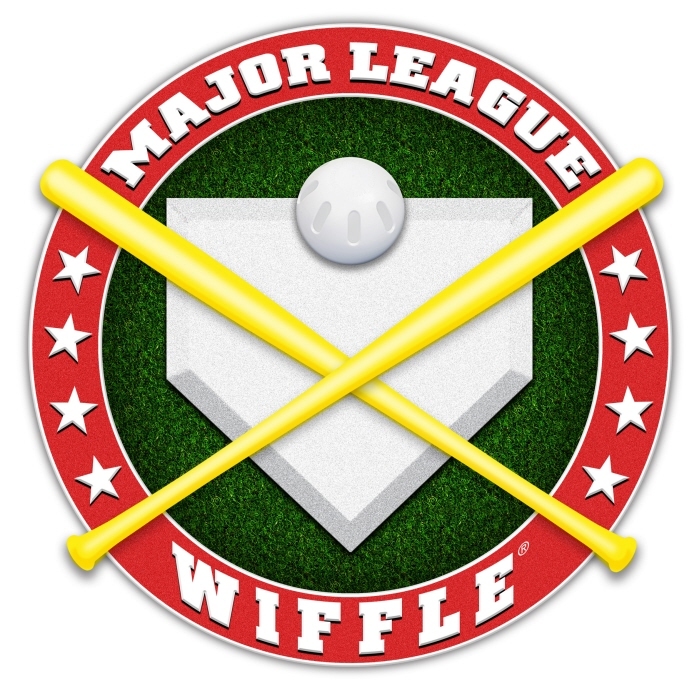 If he were playing wiffle ball, people would have said that he “whiffed”. Especially in this day and age when companies and brands are FIGHTING for customer loyalty, it’s hard to imagine that he would let this opportunity slip right down the drain. Let me set the stage: We were eating at an establishment that had an advertized promotion/policy that if a Manager did not stop by your table to check on things, then you get $10 off your next visit. (To me this sounds like a strange attempt to motivate the Managers to do what they should already be doing, but that’s another topic for another time). As it turned out, our friends had been to a different location in this restaurant chain, and had NOT received a visit from the Manager. Nor had there been any follow-up on the $10 offer when they mentioned it. The Manager says, “Unfortunately, I am not at liberty to do that.” Then he smiled and walked away. Did that just happen? Did a guest just deliver a loyalty building experience to you on a sliver platter and you turned it down? I was a little dumbfounded. I’ll bet if we didn’t like our food or the service was lousy, or we made a big stink, that he would have jumped at the chance to knock $5 off our bill. That would have been the easy way out. Yet he still chose not to, even though he has the power and the capability to do so. Why? I would imagine there is something broken or underdeveloped in his skills as a manager, or more likely in the edict and communication from the corporate office about what managers are truly empowered to do and what they are not empowered to do. There was no latitude for out-of-the-box thinking here, which could have made a huge difference. What if he said, “great idea, sir, I am going to take $5 off your bill tonight”? I think we would have been pleasantly surprised, if not stunned. Maybe he would have gotten in trouble from “corporate”, but he would have created a memorable situation that we would want to talk about (in a good way). The question is: what is a bunch of free promotion and positive word of mouth advertising worth to your business? More than 5 bucks? Then you better let your managers make the call that would create those kind of situations. It’s hard enough in business today to try to anticipate or guess what our guests want. So when it’s delivered to you all wrapped up and tied with a bow, you gotta take it. About the author: Matt Heller has a passion for helping leaders in the attractions industry get the most out of themselves and their teams. One of his specialties is coaching leaders one-on-one to get through their specific roadblocks. If you are hitting a wall, give Matt a call (rhymes optional).